When you visit the Speculator Department Store, you’re sure to be amazed by the wide variety of items available for purchase. From clothing, accessories and jewelry, to children’s toys, plush animals and games, there is virtually something for everyone at our store. 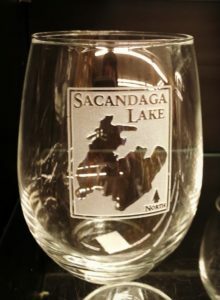 Of course, we have a wide selection of unique gifts available as well, and one of our most popular items is our etched glassware. 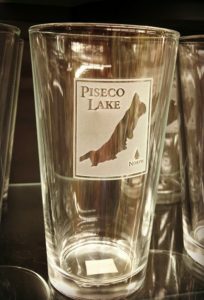 Manufactured in New Hampshire by American Crystal, these custom etched glasses beautifully represent life in the Adirondacks. They feature our serene local waters – Piseco Lake, Lake Pleasant, and Sacandaga Lake. We’ll likely be adding Lake Algonquin and Lewey Lake to our collection this summer, too, so be sure to check in regularly to see what additional items we have in store for you. Our beautiful etched glassware is available in many different styles to choose from, including tumblers, pilsner glasses and wine glasses. 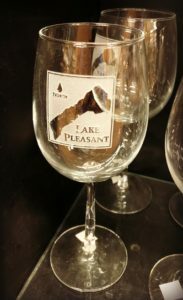 Perfect for giving, a set of these glasses serves as a lovely souvenir from time spent on your favorite Adirondack lake. Stop in today and pick up a set for someone special, and one for yourself, too! And while you’re there, be sure to check out our entire inventory of tableware and accessory items. The Speculator Department Store carries table settings, placemats, napkins, and other fine tableware accessories, much of which features an Adirondack theme. Sure to delight dinner party guests or gift recipients, our tableware is both enchanting and functional. We also carry various centerpieces, candles and more, allowing you to set a welcoming table year-round. Whether you live locally, stay with us part of the year, or are just passing through, be sure to visit the Speculator Dept. Store and check out all of our beautiful souvenir and tableware offerings. We’re open Monday through Sunday from 9 a.m. to 5 p.m. Have a question you’d like to ask before you shop with us? Feel free to give us a call at 518.548.6123 and we’ll be happy to help.